These are perfect for your dessert bar or your next baseball game!! 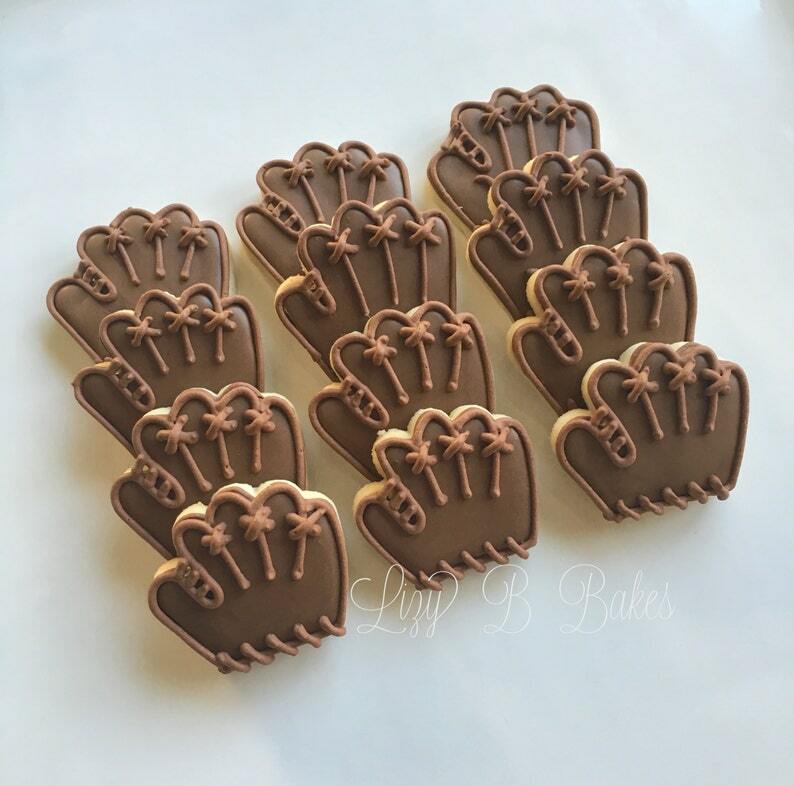 This listing is for 36 catcher's mitt cookies! Dimensions are approx. 1.5"'. Extra cookies are $13 per dozen. Contact us to add additional cookies!